Mildura International Backpackers, part of the Working Hostels Mildura group, is Mildura's friendliest working backpacker hostel. Our aim at Mildura International Backpackers is to make you comfortable and treat you as a family friend. 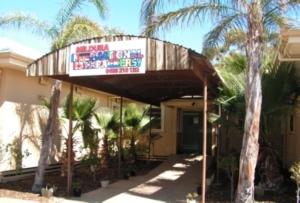 A recent returning guest told us she liked that if she needed to feel like she was home again, Mildura International Backpackers was the place to come back to. Another said we were the only place he has stayed in Australia that felt like a home and yet another said we were by far the best hostel in Mildura. Come and see for yourself. We are proud that our reputation and the recommendations of those who have stayed have led to many new and repeat visitors and are sure that if you come and stay you will also want to come back again to our hostel. We work hard to help you find jobs in the local area. At different times of the year you may be able to pick fruit in the citrus orchards, work in the vineyards or vegetable fields, or maybe inside in a packing shed. We are located close to the centre of town and just around the corner from the Mildura Vistor Information Centre, library, pool, gym and the Greyhound bus stop. A short walk awy are the supermarkets, pubs, cafes, clubs, banks, shops, V-Line bus station and the famous Murray River. We can provide transport to and from your job and free pick-up from the bus terminals or airport when you arrive in Mildura. Come and stay with friends. We look forward to welcoming you.